Growing up in Fort Worth TX and attending the annual Alliance Airshow as a kid I could have never imagined I would one day get to play a role in the event. Due to my company's affiliation with the airport I had the great pleasure of helping to prep and run this years event. On Friday the day before Airshow weekend my boss asked me to meet him at the runway, had no clue what this was all about but the boss is the boss. Very quickly found myself in a fluorescent safety vest and in the middle of a briefing from one of the members of Team Oracle. 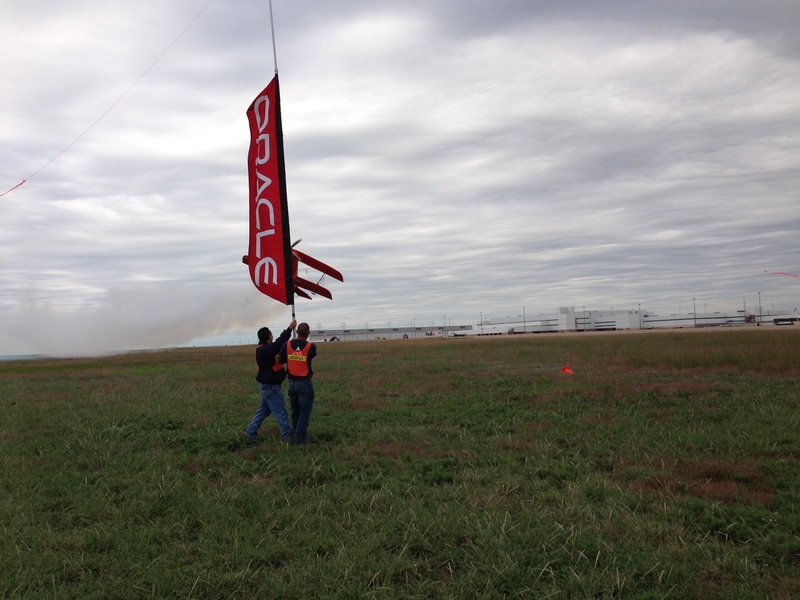 See Sean Tucker the pilot for Team Oracle has this stunt that involves flying UNDER three streamers at 20' agl!!! On his second pass he knife edges to cut all three with his top wing tip. I was to be one of the guys holding said streamer......that means I had an inverted furious orange bi-plane flying at me doing 180mph less than 20' off the ground! It was an honor for a kid that had grown up watching the airshow from the "free" seats. One other awesome upside, I had suggested to my higher ups that we involve some RC component this year and it worked out. Opening sets for show were done by local 3d flyers and we even had a local flying club present. 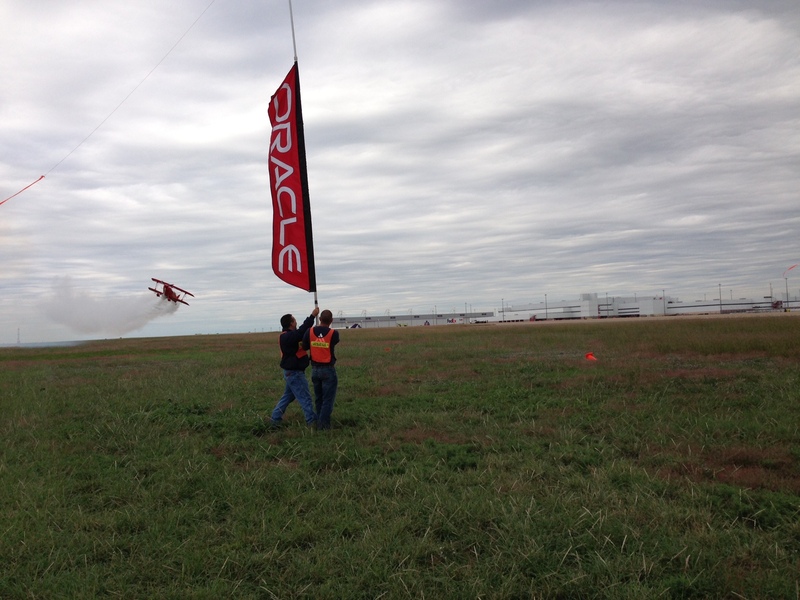 Hope to see you Alliance Airshow 2014! Note the short vids are first warm up runs....he got A LOT lower.